Hi friends! How’s your morning going? It’s a cozy one over here and I’m excited to see what adventures we get into today. Fall brings the excitement of many things, but I have to say that the return of Wildcat basketball is pretty high on the list. It was the first “real” game of the season last night, and it was just as amazing as I’d hoped. I especially love the intro, so when we can make it on time to see Wilbur wave the flag, I get kind of excited about things. So good… and SO. MANY. DUNKS. Since I’m not sure what we’re up to this morning -I’m sharing some exciting moving news later today!- thought it would fun to post one of my current favorite yoga-inspired workouts. I like the addition of strength burners within the calm, and it’s kind of a fun fusion workout when I can’t make it to a class. I didn’t provide form cues or beginner modifications for a couple of reasons: 1) I’m not a yoga teacher, but I love to practice yoga and 2) I think the best bet if you’re just getting started with yoga or yoga-inspired workouts is to take a live class. There are a lot of fantastic DVD and online resources, but with anything new, I think there’s a huge benefit from receiving live instruction and adjustment when necessary. As always, check with a doc before making any fitness changes, too. An easy way to remember the series is that you’re doing 10 of each combo, breathing for 5 long breaths on the fold and plank. Repeat on the other side. Please let me know if you give it a try! 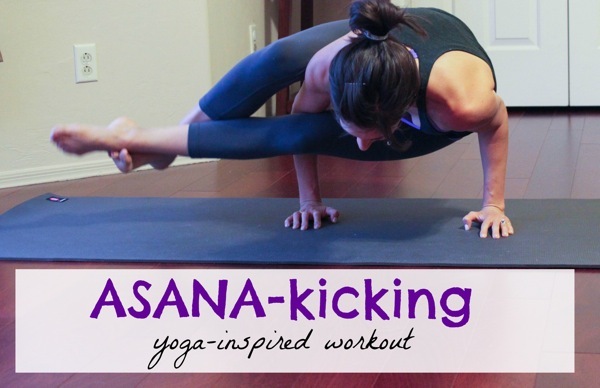 What’s your favorite strengthening yoga pose? I love to hate chatarunga pushups. I notice definition in my arms when I practice more often, and am pretty sure it’s from cursing through those bad boys. I love anything yoga!!! Yay! I’m so with ya on the chatarungas! I hate them because they’re oh so very hard. But I love them because nothing makes my arms that toned. I love yoga! I actually just bought the new Jillian Michaels yoga inferno DVD yesterday and am psyched to try it out. 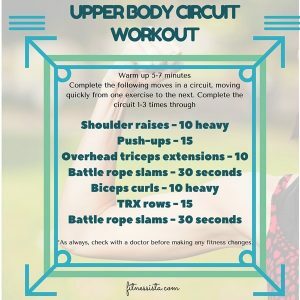 Your workout looks awesome too! Need to pin that! I love basketball! We are North Carolina State Wolfpack fans though I have a feeling it may be a really long season for us! 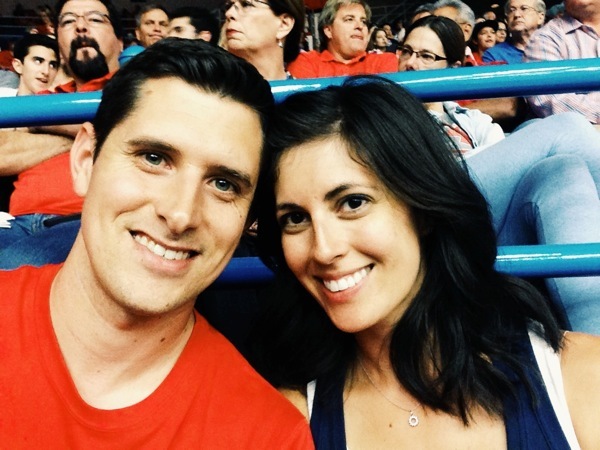 I love when football and basketball overlap – it is a great time of year! I love a good yoga/strength class that really gets you moving. I think Warriors can be really challenging if you hold the pose for awhile! 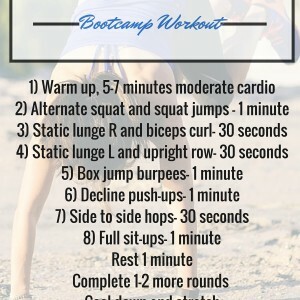 Looks like a great yoga workout — very similar style to Jillian Michaels’ yoga workout dvd, which I love! It has been too long since I have been to yoga class. Love college basketball season, the Buckeyes tip off soon, can’t wait. Season tickets arrived last week! Love your coffee mug! Big ones with character are my favorite to drink from :D.
Bridges/bridge taps are awesome. I incorporate them into a lot of my workouts; I think they feel great! This looks like the kind of yoga workout that I would really enjoy! I love college basketball. The Texas Longhorns are my #1 team but I’ve also always been a fan of Duke’s basketball team (cause I like Coach K!). I have only tried beginners yoga………but like it—and finding wind-down moves via YouTube in the evening, should become routine for me………..it’s good! I’ve done yoga in the past but it hasn’t been a part of my routine for awhile. I keep telling myself that I need to incorporate it back into my life. I really really want to go to a class, but I might just give this one a try. That first pose looks killer. You are strong lady! I know I don’t “actually” know you for reals but I love exciting news and I can’t wait to hear the big announcement!!! We are not big into any sports but soccer at my house, so I didn’t even notice that it was basketball season. 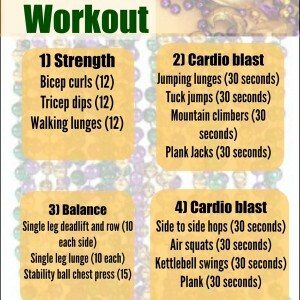 Love this workout! I love yoga but I am probably the least flexible person ever. I’m not a fan of long down dogs…my hamstrings are too tight and my upper body gets tired holding them for more than a few breaths. And I LOVE college basketball! Syracuse for life! This is perfect! I have done zero physical activity since my half marathon a week ago. I always get lazy after long races! This yoga workout looks like a great way to get my “asana” moving again 🙂 Thanks! UNM, baby!!! 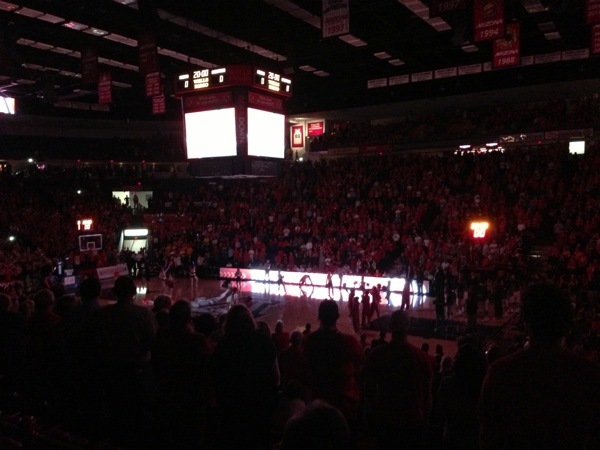 Everyone’s a Lobo…woof! woof! woof! I love yoga! I just started a Bikram yoga challenge (with myself…haha). Thanks, I’ll try it tonight! 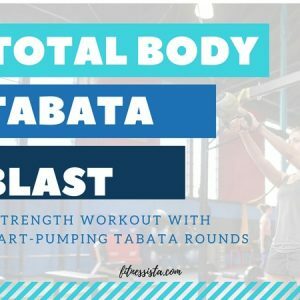 This workout was made for me!! Love it! Kansas Jayhawk fan here! I <3 college basketball more than any other sport! I love to hate chair and warrior 3. I did the same thing as you ladies!!!!!!!!!!! I can’t wait to find out!!!! 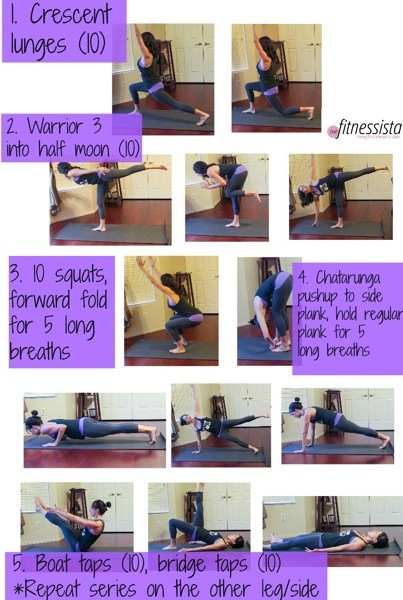 looks like a great yoga workout! My favorite strengthening pose is boat pose. Such a great move for your core! I’d like to start taking more power yoga classes. I’m a big fan of Vinyasa but I’d like to try a class where you hold the poses a little longer. I loove Yoga Workouts. I went back to my old Yoga Studio a few months ago and take 2 classes per week and really stick to it – it’s such a great alternative to my heavy weight lifting and I love the progress that comes from the regular practise, physically and mentally! Those arms are looking good!! 😉 I’m totally not a basketball girl…football all the way! GO IRISH! I’m a Tarheel born I’m a Tarheel bred! UNC all the way! That’s my alma mater. 🙂 We won the championship when I was there, so that was exciting. I also love chatarunga pushups, and dancer’s pose (?…its standing bow in Bikram). Not to be ADD…but did I miss your moving announcement? You teased us on Sunday and I’ve been checking back daily 🙂 Cant wait to hear about your exciting new adventure!!! Hope you are well! 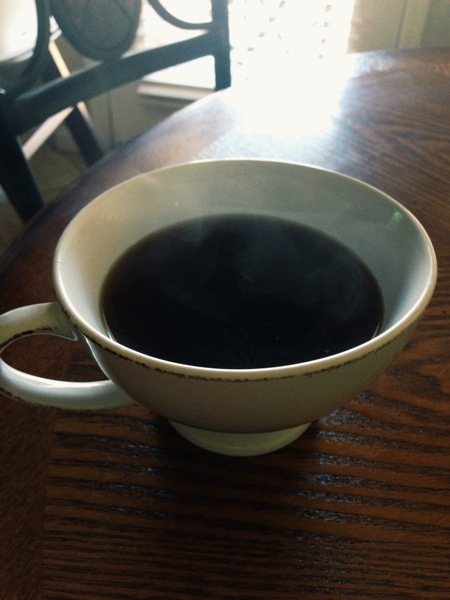 I had a big cup of coffee too! Used the illy no sugar espresso with some almond milk and stevia. Wow…talk about stringing your readers along! 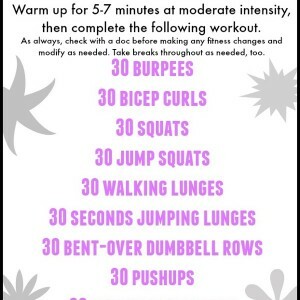 Oooh, this workout looks awesome! And for my arms, Downward Dog works wonders!!! I tend to hold a lot of tension in my shoulders, so I focus on letting that go which in turn works my arms like crazy! Yep….for sure…a basketball fan!!! My University of Florida Gators have my love!!! And I’m currently watching my favorite NBA team..Miami Heat!!! I love this time of year!!!! As for yoga….I have yet to try it. I think I’m intimidated to try….but it’s on the list of things to do!!!! Love these combos! Can’t wait to try them out! 2- for half moon to warrior 3, do we go back to the middle picture or go straight into it? 6- for the boats/bridges, do we lay flat, boat, lay flat, bridge, or is it 10 boats 10 bridges? go back through the middle!